What a unique way to show off your favorite family photos while adding a touch of springtime romance to your decor. 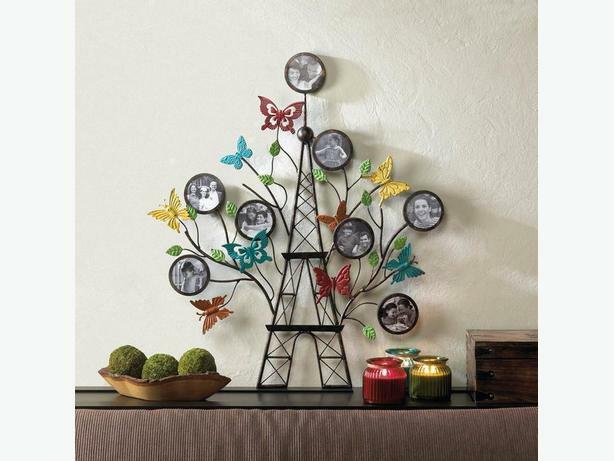 It's tall black frame is Eiffel Tower-inspired surrounded by a flurry of colored butterflies, bright green budding leaves & 8 round photo frames...31" x 2.5" x 35.25" tall & weighs 3.2 lbs. (each frame holds a 4" x 4" photo)!